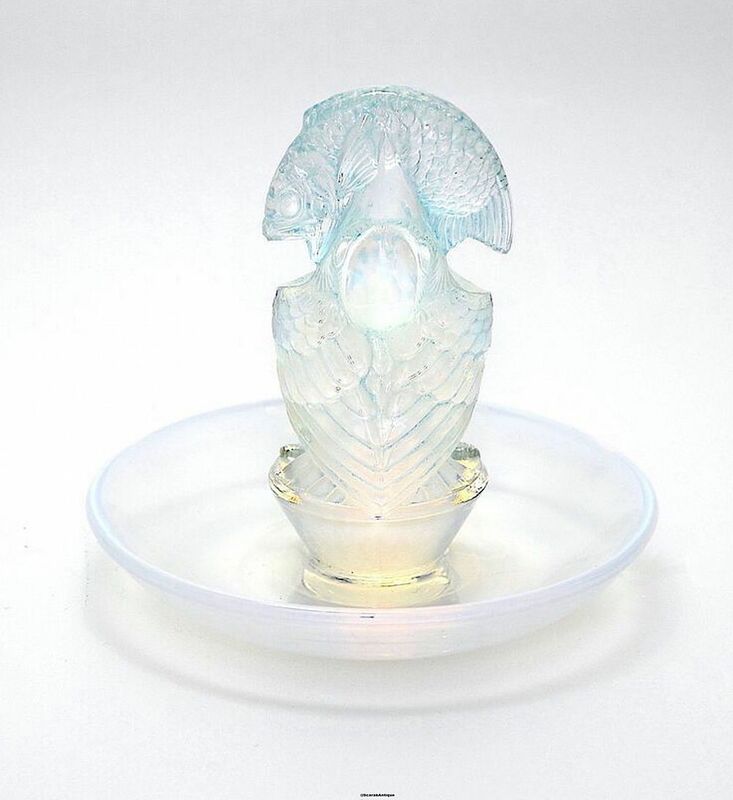 This is a rare Rene Lalique Pelican cendrier. In opalescent glass with a blue wash it depicts a pelican with a fish in its beak. The underside is signed "R Lalique France" and was introduced in 1931.